Update: It has beed updated to with iPhone 3GS running iOS 4.2.
iPhoneislam just released their FaceIt 3GS mod for enabling FaceTime calls on the Apple iPhone 3GS. 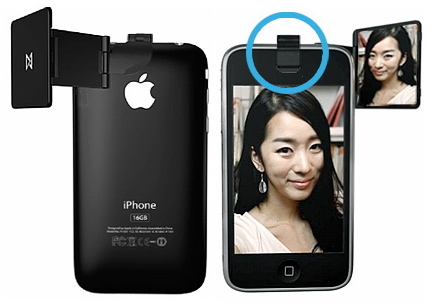 And you don’t need a mirror, just a Playmass iSeeU to add to your iPhone 3GS and you’re reading for FaceTime (thanks cybertronix). this is very nice.is this accessory available in saudi arabia?